Time is our most precious commodity. So it stands that we ought to manage that commodity as effectively as possible. The watch is one of the oldest tools known to man and while it helps us manage our time, it can also be an important fashion accessory. I was fortunate to attend BaselWorld 2011 in Basel, Switzerland. This is the premier watch and jewelry event in the world. As I met with watch manufacturers and designers, I was struck at how much information there is to absorb. As a result, I thought it might be useful to provide a watch-buying guide for my physician readers. My objective is to provide some useful tips as a starting point should you be interested in buying a new sport watch or even if you are thinking of investing in high-end collectible watches. In order to provide this overview, I turned to Donnie Pacheco, the buying manager for the Amazon.com watch business and an industry veteran. The following material is extracted largely from my discussion with Donnie. When purchasing a new watch, the first thing to consider is the purpose for the watch. These days there is a wide range of watches designed for exercise, aviation, yachting, diving, cycling, climbing, fashion, dress and so forth. Depending on what you expect from your new watch, you can plan to spend anywhere from $100 on up. You can certainly get a quality and nice looking dress watch for $250 to $1,000 and many of the premium casual watches will run from $750 to a few thousands dollars. Watches that are considered “high-end” collectable watches start around $3,000 and can easily get into the hundreds of thousands for all hand-made very limited edition pieces. Watches generally come with one of three basic types of movement: Automatic self-wind, Mechanical Hand-wind or Quartz. Referring to the Seiko line of Kinetic watches, this innovative technology has a quartz movement that doesn’t use a battery. Movement of the wearer’s wrist charges a very efficient capacitor that powers the quartz movement. Once the capacitor is fully charged, men’s models will store energy for 7-14 days without being worn and ladies’ models will store energy for 3-7 days. The watch alerts the wearer to a low capacitor charge when the second hand starts to move in two-second intervals. It’s also worth noting the Bulova Precisionist watch. It is the most accurate quartz watch available and it has the same sweeping hand of an automatic watch….very innovative. While the Swiss have historically been considered the premier watch-makers, there are increasingly quality brands from Japan, Germany and elsewhere. Many of the high-end watch brands promote the fact that they a true “watch manufacture” meaning that they control all stages in the making of their watches, from design to production, from assembly and finish to distribution. They will insist the comprehensive approach to production has many important benefits. Certain traditional skills and tools, which have not changed for hundreds of years, can still be used on a daily basis. The experience and know-how of the master watchmakers is passed on to new generations. However in order for a watch to be able to label itself “Swiss-made”, it must meet specific criteria governed by the Swiss authorities. You can find those criteria HERE. The watch industry saw a significant downturn in 2009 as a result of the worldwide economic recession. However, 2010 saw the industry bounce back aggressively, heavily driven by Asian demand. Despite the increasing growth of Asian demand, the United States remains the largest export audience for the various Swiss brands. One of the prominent trends coming out of Basel this year was the return to slimmer case sizes (width) and overall sleekness. (ex. Women’s watches are getting back to a 32mm casing….now called “mini.” ) This trend counters the run for years towards larger watches calling for more attention. A return to modesty and subtlety is evident on lots of new introductions. Color definitely continues to be a trend. Rose gold is still hot especially when paired with black. Materials like rubber and plastic are finding their way to fashion watches while dress watches are generally returning to more classic designs. The most frequent care requirement for battery-operated watches is the changing of the battery. Donnie suggests taking the watch to a department store or jeweler that carries watches and spend roughly relatively little to get the watch changed. ($8 at Nordstrom for a basic battery chance. Costs increase as the complexity of the procedure climbs.) The small expense avoids a possible scratch or problem returning the casing pressure/water resistance back to normal (where applicable). 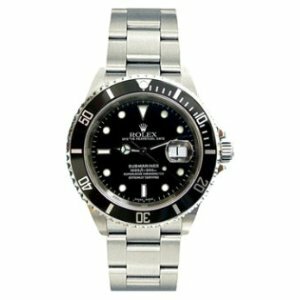 Sizing a watch is generally pretty simple and you can buy any of the simple resizing kits needed from Amazon.com or have it done at most jewelers. Just as with a car, you can check with the maker of a watch to locate authorized sellers and repair shops for a particular brand. I generally find that my personal buying habits mirror the average physician from this standpoint….I go to brick and mortar shopping stores less and less. I don’t have time to waste at brick and mortar retailers, I don’t like to navigate parking and crowds and most importantly, I like the research I can do online. Moreover, I do not generally visit brand web sites. I visit sites like Amazon because they are familiar, I can trust them, my experience with them is consistent and I can get more done with less effort. If this style of shopping sounds like your cup of tea, then Amazon.com has a lot to offer in your quest for a new watch. I asked Donnie to tell me more specifically about the Amazon.com watch business and whether my preferences are consistent with trends he sees. Data shows that more and more people are converting their buying habits to the web…even for very high-end purchases like cars, expensive jewelry and so forth. Brands that refuse to be online will eventually find themselves irrelevant. Second, Amazon’s priorities are price, selection and convenience and it is very difficult for a particular brand to match the Amazon.com experience. Amazon.com knows online retail inside and out. Specific brands do not; and they usually learn the hard way that it’s best to focus on their core business and partner with Amazon.com to handle at least some of their online activity. Rolex: This brand is the gold standard and considered the biggest brand in the industry. 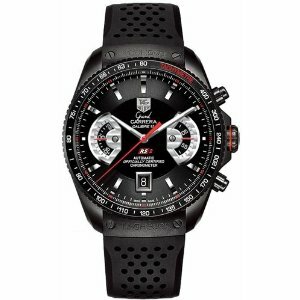 Tag-Heuer: Just introduced the first mechanical watch to use a center second hand to show 1/100 second indications. Bulova: A wholly owned subsidiary of Citizen, this company has a wide range of moderately priced dress watches. Tissot: Around since 1853, this company was the first to introduce watches made of wood, rock, plastic and mother of pearl. Casio: The G-Shock line is a workhorse with a number of clever features including a self-charging solar powered edition and an atomic timekeeper edition that automatically adjusts for leap-year and Daylight Savings. Citizen: Aside from the Eco-drive, Citizen boasts the slimmest LCD watch, the first voice recognition watch and the world’s first professional dive watch with an electronic depth sensor. Cartier: One of the biggest targets for copy-cats, Cartier entered the market in 1904 as an aviator’s wrist watch. Speedo: Watches made for swimming where you can actually push the buttons under water without letting water into the case. Baum & Mercier: It’s Capeland sports watch collection has been revamped to appear less rugged and more refined. Depending on finishes, this line ranges from $7,000 to $20,000. Patek Phillip: Considered by many to be the premier maker of wristwatches in the world and the prices reflect their position. Ulysses-Ardin: With a rich history of marine wristwatches many describe these timepieces as truly fluid in look and design and captured by their anchor logo. Oakley: Swiss made timepieces with very bold looks. Michael Kors: The fashion standard. Their runway shows helped revive fashion watches. Marc Jacobs: Great fashion watches and doing interesting things with aluminum to achieve antique finishes. Bell & Ross: A new company (1992) they were created to operate in extreme conditions experienced by pilots, divers and astronauts. IWC: Classic, thin and elegant dress watches are what you get with he Portofino Automatic and Portofino Chronograph lines ranging from $4,200 to $10,800. A. Lange & Sohne: This 21 year old company has watches that exceed $100,000 but it also has the Saxonia Thin line that measures just 5.9mm thick and the rose gold version is $19,700. 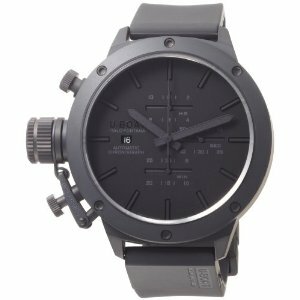 U-Boat: Watches made for the Italian Army with very bold looks. Movado: Known for their museum dial and introducing lots of new looks in recent years.